My current research activities are focused on advances in several fields of rapid technology development, notably wireless networks, energy systems and social networks. The dramatic increase in demand for new capacity and higher performance has been a major issue in the design and deployment of contemporary wireless networks. The development of these capabilities is severely limited by the scarcity of two of the principal resources in wireless networks: energy and bandwidth. Emerging generations of wireless standards are addressing these issues through the use of techniques such as cooperative communications, spectrum sharing, energy harvesting, cloud processing and densification of infrastructure. One focus of our recent work in wireless networks has addressed the fundamental limits of such techniques through information theoretic and related analyses of relay and interference channels, and the role of feedback in improving communications performance in such channels. Another focus has been on the development and analysis of new signaling and networking structures, such as non-orthogonal multiple access (NOMA) and cloud radio access networks (C-RANs), designed to enable the techniques noted above. A further issue that we are addressing is the fundamental ability of the physics of the radio channel to provide security in data transmission, and the development of codes and other methods to exploit this capability. Our work in energy systems has focused on smart grid, which has emerged as a key technology for improving the efficiency, efficacy and security of the distribution and consumption of electric power, and particularly for the integration of renewable energy sources such as wind and solar power into the electricity grid. Our work in this area has focused on the use of advanced methods from communications and information technology to address several issues arising in this context, including the detection and amelioration of bad data and physical attacks on the grid, the study of privacy issues for both operators and consumers, the development of distributed algorithms for state estimation and control of the grid and the use of game theory and prospect theory to develop an understanding of the behavior of grid participants. 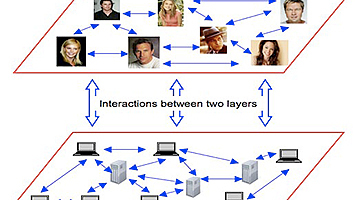 In the area of social networks, our work has focused on understanding and modeling the connectivity of small-world networks, and on the role of social interaction on collaborative sensing and decision-making tasks. Other publications describing recent research progress in related areas can be found there as well. “Multi-hop Cooperative Caching in Social IoT Using Matching Theory,” (with Li Wang, Huaqing Wu, Zhu Han and Ping Zhang). IEEE Transactions on Wireless Communications, Vol. 17, No. 4, pp. 2127 – 2145, April 2018. “Analyses of the Incomplete Low-Bit-Rate Hybrid PLC-Wireless Single-Relay Channel,” (with Victor Fernandes and Moisés V. Ribeiro). 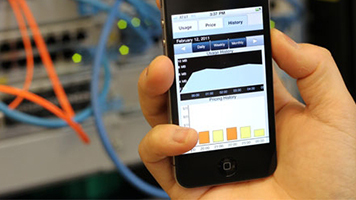 IEEE Internet of Things Journal, Vol. 5, No. 2, pp. 917 – 929, April 2018. “Multiobjective Optimization for Demand Side Management Program in Smart Grid,” (with Dan Li, Hongjian Sun and Wei-Yu Chiu). IEEE Transactions on Industrial Informatics, Vol. 14, No. 4, pp. 1482 – 1490, April 2018. “Performance Bounds for Finite Moving Average Tests in Transient Change Detection,” (with Daniel Egea-Roca, Gonzalo Seco-Granados and José A. López-Salcedo), IEEE Transactions on Signal Processing, Vol. 66, No. 6, pp. 1594 – 1606, March 15, 2018. “Degraded Broadcast Channel with Secrecy Outside a Bounded Range,” (with Shaofeng Zou, Yingbin Liang, Lifeng Lai and Shlomo Shamai).IEEE Transactions on Information Theory, Vol. 64, No. 3, pp. 2104 – 2120, March 2018. “On the Minimum Mean p-th Error in Gaussian Noise Channels and Its Applications,” (with Alex Dytso, Ronit Bustin, Daniela Tuninetti, Natasha Devroye and Shlomo Shamai). IEEE Transactions on Information Theory, Vol. 64, No. 3, pp. 2012 – 2037, March 2018. “Multicast Pushing with Content Request Delay Information,” (with Yawei Lu and Wei Chen). IEEE Transactions on Communications, Vol. 66, No. 3, pp. 1078 – 1092, March 2018. “Community-structured Evolutionary Game for Privacy Protection in Social Networks,” (with Jun Du, Chunxiao Jiang, Kwang-Cheng Chen and Yong Ren).IEEE Transactions on Information Forensics and Security, Vol. 13, No. 3, pp. 574 – 589, March 2018. “Outage Detection Using Load and Line Flow Measurements in Power Distribution Systems,” (with Raffi Sevlian, Yue Zhao, Ram Rajagopal and Andrea Goldsmith). IEEE Transactions on Power Systems, Vol. 33, No. 2, pp. 2053 – 2069, March 2018. “Distributed Low-Rank Adaptive Estimation Algorithms Based on Alternating Optimization,” (with Songcen Xu and Rodrigo de Lamare). Signal Processing, Vol. 144, pp. 41 -51, March 2018. “Energy-Efficient Power Allocation for MIMO-NOMA with Multiple Users in a Cluster,” (with Octavia Dobre, Ming Zeng and Animesh Yadav). IEEE Access–Special Section on Non-Orthogonal Multiple Access for 5G Systems, Vol. 6, No. 1, pp. 5170 – 5181, 2018. “Secure Broadcasting Using Independent Secret Keys,” (invited, with Rafael F. Schaefer and Ashish Khisti). IEEE Transactions on Communications, Vol. 66, No. 2, pp. 644 – 661, February 2018. “Authenticating Users through Fine-grained Channel Information,” (with Hongbo Liu, Yan Wang, Jian Liu, Jie Yang and Yingying Chen). IEEE Transactions on Mobile Computing, Vol. 17, No. 2, pp. 251 – 264, February 2018. “Mobile Crowdsensing Games in Vehicular Networks,” (with Liang Xiao, Tianhua Chen, Caixia Xie and Huaiyu Dai). IEEE Transactions on Vehicular Technology – Connected Vehicle Series, Vol. 62, No. 2, pp. 1535 – 1545, February 2018. “Game Theoretic Approaches to Massive Data Processing in Wireless Networks,” (with Zijie Zheng, Lingyang Song, Zhu Han and Geoffrey Ye Li).IEEE Wireless Communications – Special Issue on Wireless Big Data: Technologies and Applications, Vol. 25, No. 1, pp. 98 - 104, February 2018. “Big Data Driven Wireless Communications: A Human-in-the-loop Pushing Technique for 5G Systems,” (with Qi Yan and Wei Chen). IEEE Wireless Communications – Special Issue on Wireless Big Data: Technologies and Applications, Vol. 25, No. 1, pp. 64 – 69, February 2018. “Joint Sensor and Relay Power Control in Tracking Gaussian Mixture Targets by Wireless Sensor Networks,” (with Johann A. Bengua, Hoang D. Tuan and Trung Duong).IEEE Transactions on Signal Processing, Vol. 66, No. 2, pp. 492 – 506, January 15, 2018. “On Communication through a Gaussian Channel with an MMSE Disturbance Constraint,” (with Alex Dytso, Ronit Bustin, Daniela Tuninetti, Natasha Devroye and Shlomo Shamai). IEEE Transactions on Information Theory, Vol. 64, No. 1, pp. 513 – 530, January 2018. “Smart Meter Privacy with Renewable Energy and a Storage Device,” (with Giulio Giaconiand Deniz Gündüz). IEEE Transactions on Information Forensics and Security,Vol. 13, No. 1, pp. 129 - 142, January 2018. “Fronthaul-Aware Software-Defined Wireless Networks: Resource Allocation and User Scheduling,” (with Chen-Feng Liu, Sumudu Samarakoon,and Mehdi Bennis).IEEE Transactions on Wireless Communications, Vol. 17, No. 1, pp. 533 - 547, January 2018. “A Secure Mobile Crowdsensing Game with Deep Reinforcement Learning,” (with Liang Xiao, Yanda Li, Guoan Han and Huaiyu Dai).IEEE Transactions on Information Forensics and Security, Vol. 13, No. 1, pp. 35 – 47, January 2018. “Cognitive Hierarchy Theory for Distributed Resource Allocation in the Internet of Things,” (with Nof Abuzainab, Walid Saad and Choong Seon Hong). IEEE Transactions on Wireless Communications, Vol. 16, No. 12, pp. 7687 – 7702, December 2017. “Joint Fractional Time Allocation and Beamforming for Downlink Multiuser MISO Systems,” (with Van-Dinh Nguyen, Hoang Duong Tuan, Trung Q. Duong and Oh-Soon Shin). IEEE Communications Letters, Vol. 21, No. 12, pp. 2650 – 2653, December 2017. “Information Guided Precoding for OFDM,” (with Qiang Li, Miaowen Wen and Fangjiong Chen). IEEE Access – Special Section on Index Modulation, Vol. 5, No. 1, pp. 19644 – 19656, December 2017. “Relay-Aided NOMA in Uplink Cellular Networks,” (with Wonjae Shin, Heecheol Yang, Mojtaba Vaezi and Jungwoo Lee). IEEE Signal Processing Letters, Vol. 24, No. 12, pp. 1842 – 1846, December 2017. “Secrecy Performance of Finite-Sized Cooperative Full-Duplex Relay Systems with Unreliable Backhauls,” (with Hongwu Liu, Kyeong Jin Kim and Kyung Sup Kwak). IEEE Transactions on Signal Processing, Vol. 65, No. 23, pp. 6185 – 6200, December 1, 2017. “Nonparametric Detection of Anomalous Data Streams,” (with Shaofeng Zou, Yingbin Liang and Xinghua Shi). IEEE Transactions on Signal Processing, Vol. 65, No. 21, pp. 5785 – 5797, November 1, 2017. “Secure Massive MIMO Relaying Systems in a Poisson Field of Eavesdroppers,” (with Tiep M. Hoang, Hoang D. Tuan and Trung Q. Duong). IEEE Transactions on Communications, Vol. 65, No. 11, pp. 4857 – 4870, November 2017. “Superposition Signaling in Broadcast Interference Networks,” (with Hoang D. Tuan, H. H. M. Tam, H. H. Nguyen and Trung Q. Duong). IEEE Transactions on Communications, Vol. 65, No. 11, pp. 4646 – 4656, November 2017. “Secure and Energy-Efficient Beamforming for Simultaneous Information and Energy Transfer,” (with Ali A. Nasir, Hoang D. Tuan and Trung Q. Duong). IEEE Transactions on Wireless Communications, Vol. 16, No. 11, pp. 7523 – 7537, November 2017. “Compression-Based Compressed Sensing,” (with Farideh Ebrahim Rezagah, Shirin Jalali and Elza Erkip). IEEE Transactions on Information Theory, Vol. 63, No. 10, pp. 6735 – 6752, October 2017. “Non-Orthogonal Multiple Access in Multi-Cell Networks: Theory, Performance, and Practical Challenges,” (with Wonjae Shin, Mojtaba Vaezi, Byungju Lee, David J. Love and Jungwoo Lee). IEEE Communications Magazine, Vol. 55, No. 10, pp. 176 – 183, October 2017. “Nonparametric Detection of Geometric Structures over Networks,” (with Shaofeng Zou and Yingbin Liang). IEEE Transactions on Signal Processing, Vol. 65, No. 19, pp. 5034 – 5046, October 1, 2017. “Capacity Comparison between MIMO-NOMA and MIMO-OMA with Multiple Users in a Cluster,” (with Ming Zeng, Animesh Yadav, Octavia A. Dobre and Georgios I. Tsiropoulos). IEEE Journal on Selected Areas in Communications – Special Issue on Non-Orthogonal Multiple Access for 5G Systems, Vol. 35, No. 10, pp. 2413 – 2424, October 2017. “Optimal Beamforming for Gaussian MIMO Wiretap Channels with Two Transmit Antennas,” (with Mojtaba Vaezi and Wonjae Shin). IEEE Transactions on Wireless Communications, Vol. 16, No. 10, pp. 6726 – 6735, October 2017. “Joint Power Allocation and Beamforming for Energy-Efficient Two-Way Multi-Relay Communications,” (with Zhichao Sheng, Hoang D. Tuan and Trung Q. Duong). IEEE Transactions on Wireless Communications, Vol. 16, No. 10, pp. 6660 – 6671, October 2017. “Energy Efficient User Association and Power Allocation in Ultra Dense Millimeter Wave Networks with Energy Harvesting Base Stations,” (with Haijun Zhang, Site Huang, Chunxiao Jiang, Keping Long and Victor C. M. Leung). IEEE Journal on Selected Areas in Communications – Issue on Millimeter Wave Communications for Future Mobile Networks, Vol. 35, No. 9, pp. 1936 – 1947, September 2017. “Feedback Enhances Simultaneous Wireless Information and Energy Transmission in Multiple Access Channels,” (with Selma Belhadj Amor, Samir M. Perlaza and Ioannis Krikidis). IEEE Transactions on Information Theory, Vol. 63, No. 8, pp. 5244 – 5265, August 2017. “A View of Information-Estimation Relations in Gaussian Networks,” (with Alex Dytso, Ronit Bustin and Shlomo Shamai). Entropy – Special Issue on Network Information Theory, Vol. 19, No. 8, Article 409, 2017. “Energy Efficient Wireless Pushing with Request Delay Information and Delivery Delay Constraint,” (with Wei Huang and Wei Chen). IEEE Access – Special Section on Wireless Caching Techniques for 5G, Vol. 5, pp. 15428 – 15441, 2017. “On the Sum Rate of MIMO-NOMA and MIMO-OMA Systems,” (with Ming Zeng, Animesh Yadav, Octavia A. Dobre and Georgios I. Tsiropoulos). IEEE Wireless Communications Letters, Vol. 6, No. 4, pp. 534 – 537, August 2017. “NOMA Meets Finite Resolution Analog Beamforming in Massive MIMO and Millimeter-Wave Networks,” (with Zhiguo Ding, Linglong Dai and Robert Schober). IEEE Communications Letters, Vol. 21, No. 8, pp. 1879 – 1882, August 2017. “Enabling Self-healing Smart Grid Through Jamming Resilient Local Controller Switching,” (with Hongbo Liu, Yingying Chen, Mooi Choo Chuah and Jie Yang). IEEE Transactions on Dependable and Secure Computing, Vol. 14, No.4, pp. 377 – 391, July – August 2017. “Resource Management in Non-orthogonal Multiple Access Networks for 5G and Beyond,” (with Lingyang Song, Yongchui Li and Zhiguo Ding). IEEE Network – Special Issue on Ultra-Dense Heterogeneous Small Cell Deployment in 5G and Beyond, Vol. 31, No. 4, pp. 8 – 14, July - August 2017. “Minimum Sparsity of Unobservable Power Network Attacks,” (with Yue Zhao and Andrea Goldsmith). IEEE Transactions on Automatic Control, Vol. 62, No. 7, pp. 3354 – 3368, July 2017. “Resilience of Energy Infrastructure and Services: Modeling, Data Analytics and Metrics,” (with Chuanyi Ji and Yun Wei). Proceedings of the IEEE – Special Issue on Power Grid Resilience, Vol. 105, No.7, pp. 1354 – 1366, July 2017. “On the Spectral Efficiency and Security Enhancements of NOMA Assisted Multicast-Unicast Streaming,” (with Zhiguo Ding, Zhongyuan Zhao and Mugen Peng). IEEE Transactions on Communications, Vol. 65, No. 7, pp. 3151 – 3163, July 2017. “Price Discrimination for Energy Trading in Smart Grid: A Game Theoretic Approach,” (with Wayes Tushar, Chau Yuen and David B. Smith). IEEE Transactions on Smart Grid, Vol. 8, No. 4, pp. 1790 – 1801, July 2017. “Cyclic Interference Alignment for Full-Duplex Multi-Antenna Cellular Networks,” (with Wonjae Shin, Jong-Bu Lim, Hyun-Ho Choi and Jungwoo Lee). IEEE Transactions on Communications, Vol. 65, No. 6, pp. 2657 – 2671, June 2017. “Impact of Imperfect Source-to-Relay CSI in Amplify-and-Forward Relay Networks,” (with Jia-Chin Lin, Han-Kui Chang and Meng-Lin Ku). IEEE Transactions on Vehicular Technology, Vol. 66, No.6, pp.5056-5069, June 2017. “Universal Compressed Sensing for Almost Lossless Recovery,” (with Shirin Jalali). IEEE Transactions on Information Theory, Vol. 63, No. 5, pp. 2933 – 2953, May 2017. “Random Beamforming in Millimeter-Wave NOMA Networks,” (with Zhiguo Ding and Pingzhi Fan). IEEE Access – Special Issue on Physical and Medium Access Control Layer Advances in 5G Wireless Networks, Vol. 5, No. 1, pp. 7667 – 7681, 2017. “Spectral and Energy Efficiencies in Full-Duplex Wireless Information and Power Transfer,” (with Van-Dinh Nguyen, Trung Q. Duong, Hoang Duong Tuan and Oh-Soon Shin). IEEE Transactions on Communications, Vol. 65, No. 5, pp. 2220 – 2233, May 2017. “MIMO Energy Harvesting in Full-Duplex Multi-user Networks,” (with Huu H. Minh Tam, Hoang Duong Tuan, Ali Arshad Nasir and Trung Q. Duong). IEEE Transactions on Wireless Communications, Vol. 16, No. 5, pp. 3282 – 3297, May 2017. “QoS-Constrained Relay Control for Full-Duplex Relaying with SWIPT,” (with Hongwu Liu, Kyeong Jin Kim and Kyung Sup Kwak). IEEE Transactions on Wireless Communications, Vol. 16, No. 5, pp. 2936 – 2949, May 2017.